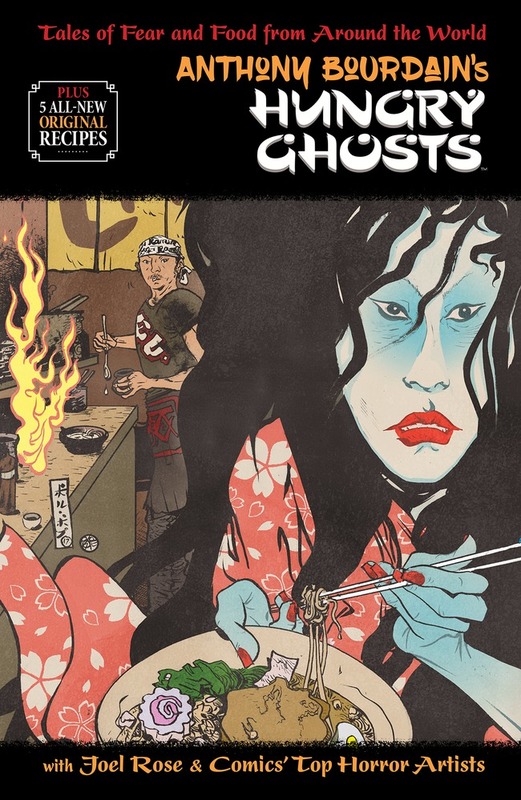 Anthony Bourdain’s Hungry Ghosts reunites the bestselling writer, chef, and award-winning television host with accomplished co-writer Joel Rose, his friend and longtime collaborator, for a series of horror stories inspired by the popular Japanese Edo period parlour game of Hyakumonogatari Kaidankai. The graphic novel substitutes chefs in place of the traditional samurai, and transforms the classic stories of yokai, yorei, and obake by adding a common thread: food is central to each bone-chilling tale. On a dark, eerie night a Russian oligarch dares a circle of international chefs to play the Samurai game of 100 Candles—where each storyteller blows out a candle after telling a terrifying tale of ghosts, demons and unspeakable beings, praying to survive the challenge. A reunion for Bourdain and Rose with legendary comic book editor Karen Berger — the editor of Dark Horse Comics’ imprint Berger Books and recent inductee into the Will Eisner Comic Industry Awards Hall of Fame — who was the founding editor of Vertigo Comics, which published Bourdain and Rose’s graphic novel debut, the New York Times #1 bestseller, Get Jiro! A jaw-dropping cover by bestselling comics artist Paul Pope. Anthony Bourdain’s Hungry Ghosts is a celebration of culinary creativity and the power of storytelling. Like Bourdain and his writing, the stories bring together different traditions to create something unexpected, bold, and occasionally shocking. 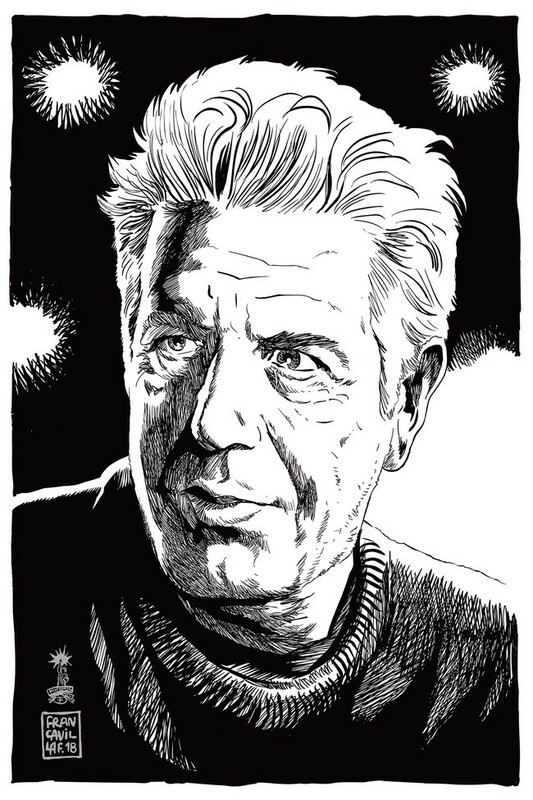 Bourdain rejected the label of celebrity chef and the publication of this book is an opportunity to reflect not only on Bourdain’s impact on culture, but his literary legacy. We hope you’ll celebrate Anthony Bourdain, and his love of story and food, by devouring this book.